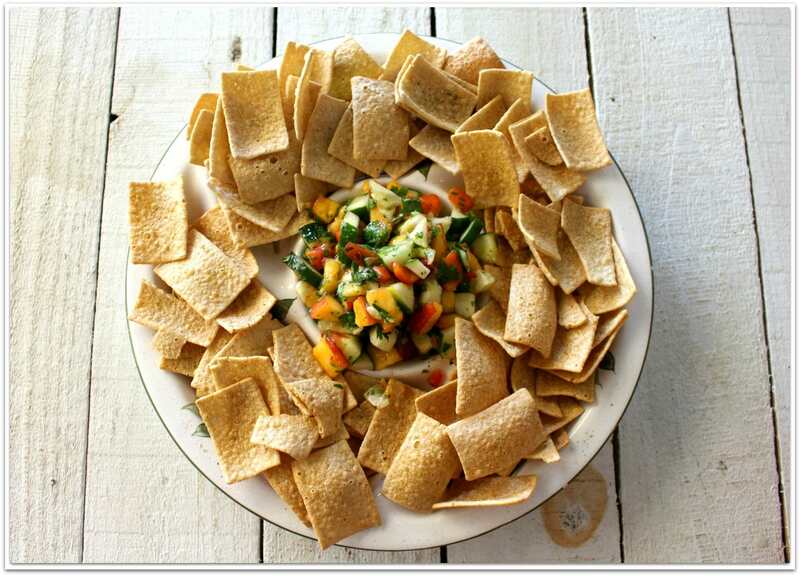 I made this peach salsa after attending the Mom Blog Tour at the Summer Fancy Food Show on behalf of Wendy’s Bloggers. I received Saffron Road products to facilitate my review. 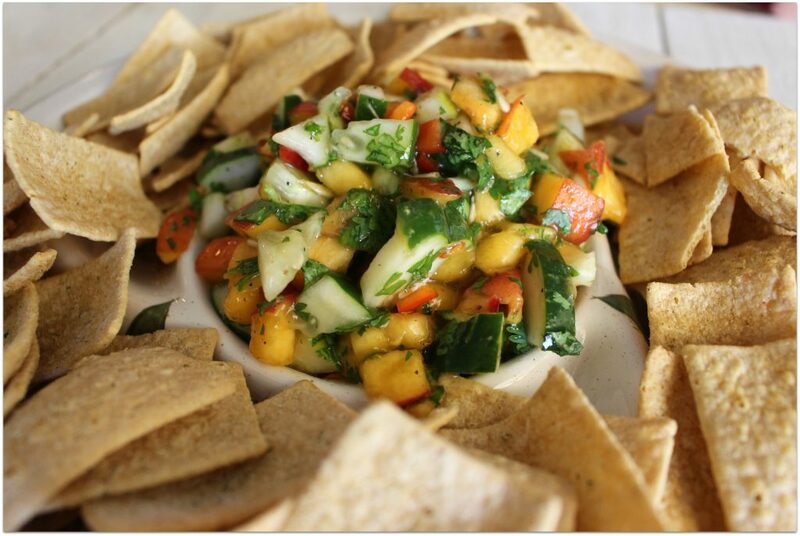 What could be better at a cookout or party than fresh peach salsa? It doesn’t matter what’s on the table, I gravitate towards the chips and salsa. Any kind of salsa will do! I like it hot and spicy, but my kids don’t, so I decided to make something we all would enjoy. 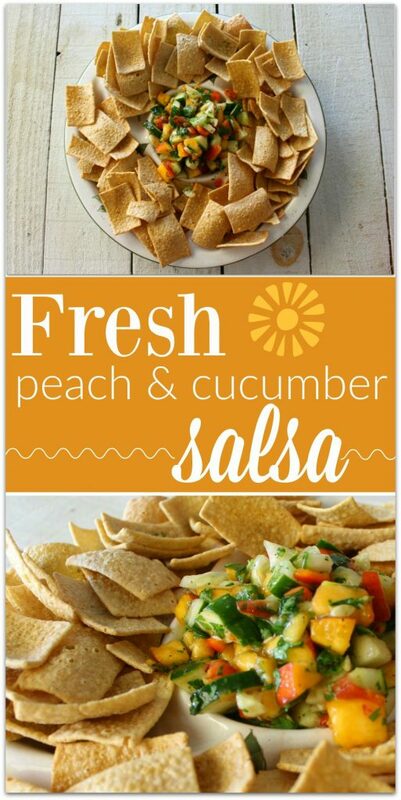 This peach salsa with cucumber is amazing! It would be delicious on blackened fish, too, but for now, we are just enjoying it with chips from Saffron Road. Though this would be good with any of Saffron Road’s Baked Chips or BeanStalks, today we paired it with crunchy Cucumber Dill Chips and Moroccan Barbeque Chips. SO good! I met a few of the people from Saffron Road when I was at the Fancy Food Show in New York in June. 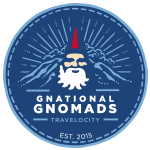 The company’s history is pretty amazing. The Silk Road Project was an eye-opening moment for founder and CEO Adnan Durrani. “The Silk Road: Connecting Cultures, Creating Trust,” was sponsored by the Smithsonian and hosted by Yo Yo Ma, and brought together some 350 artists from Silk Road lands to explore their common heritage. Adnan wanted to make a difference, so he created a natural food company, which excludes no faiths or cultures—but rather strives to be inclusive and celebrate all faiths with values that are multi-ethnic, socially responsible, and spiritually timeless. Read more about Adnan’s journey to creating Saffron Road. It really is a fascinating story! There was a huge variety of products for us to try at the Saffron Road booth, and everyone was raving about them. With so many different chip varieties, there is something for everyone. The crackers are perfectly crisp! And the chickpeas are deliciously crunchy! I think these lasted a day in my house! Saffron Road challenged us to create a recipe that would go well with one of their products, and that was easy for me. When I think of chips, I think of salsa! 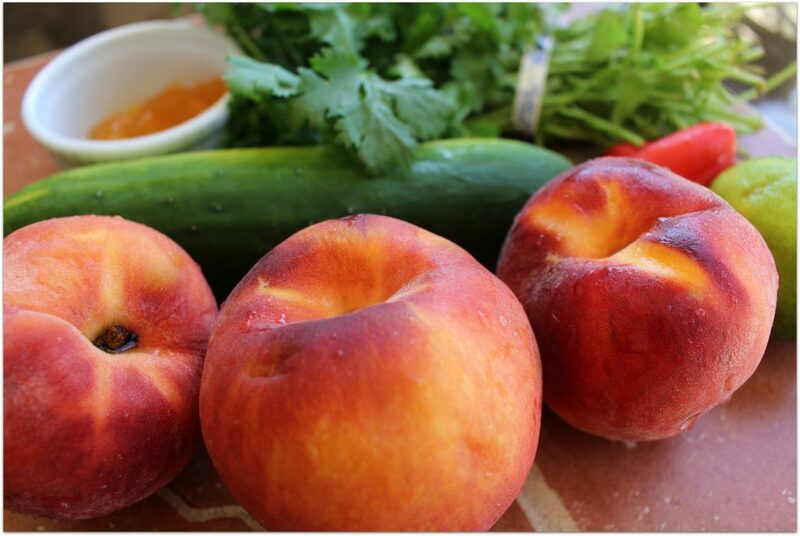 Here’s a quick tutorial you can follow to make this delicious peach salsa. Be sure to follow Saffron Road on their social channels, Facebook, Twitter, Pinterest and Instagram! 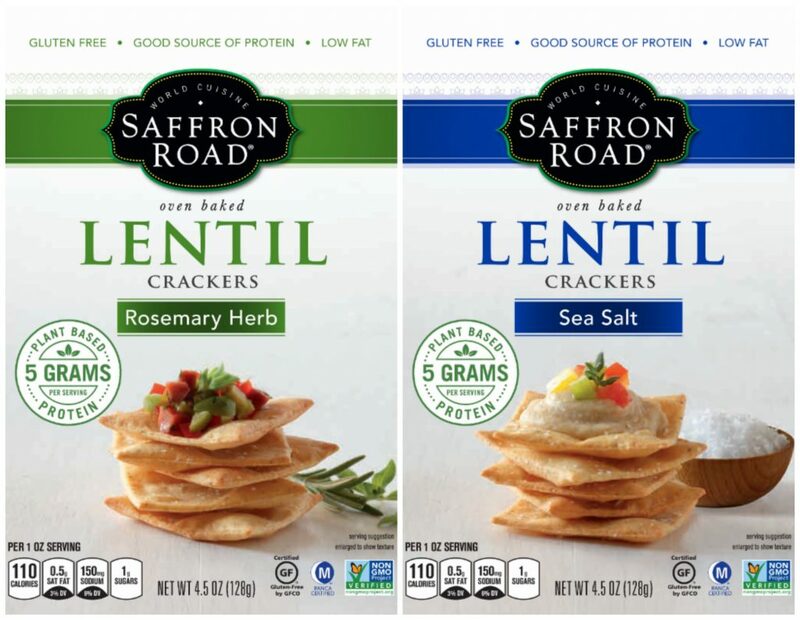 Thanks to Saffron Road for sponsoring the #MomBlogTourFF! Looking for more Saffron Road yumminess? 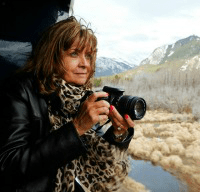 Check out these posts from the Mom Blog Tour team! What a fresh an easy recipe! Love the sweet and salty! I was just looking to buy their Lentil Crackers yesterday. Unfortunately they weren’t carried at the store I was shopping at, but I hope to try them soon! 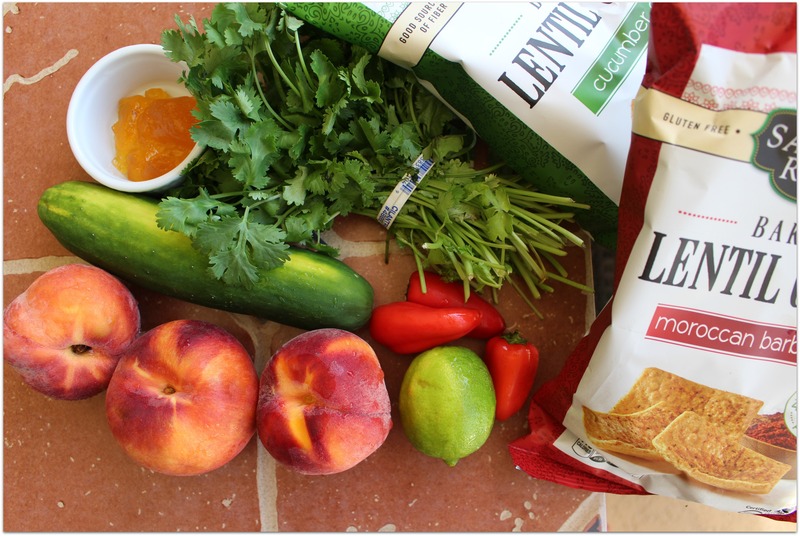 The baked garlic and parmesan lentil chips sound tasty to me! 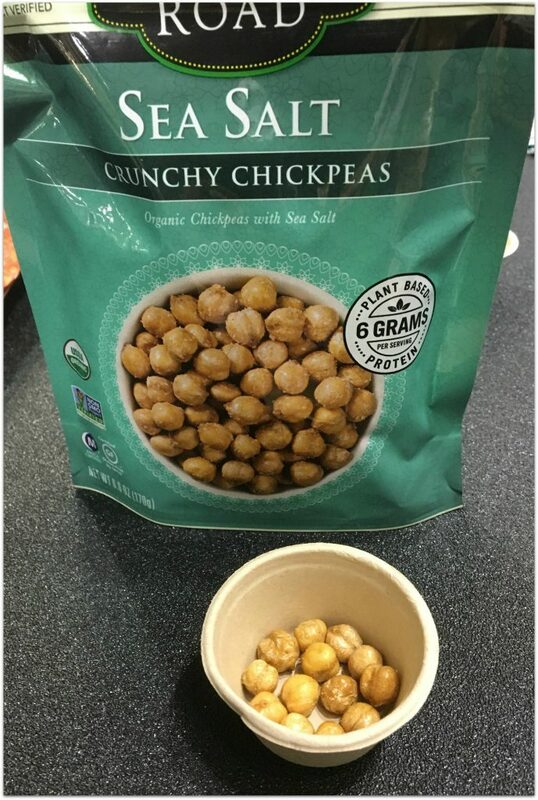 I’d like to try the crunchy chickpeas! I’d like to try the Beanstalks, they look perfect for dips and something new, healthy and tasty for guests! I want to try the Crunchy Chickpeas, please.